1. Ultra-MINI, UNIQUE DESIGN. 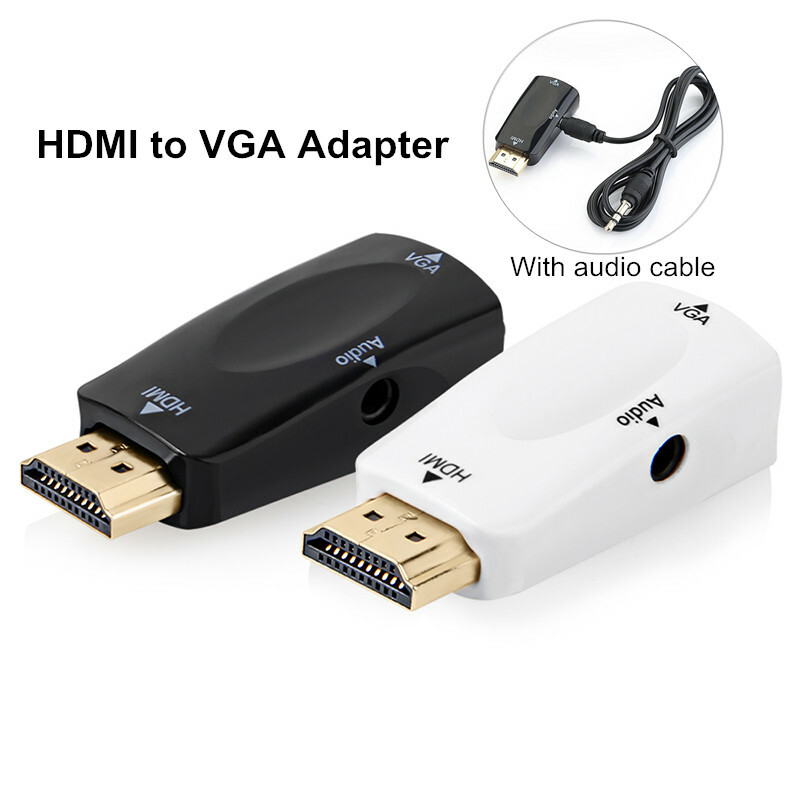 HDMI TO VGA converter with 3.5mm audio port can transport audio and video from HDMI compatible device to a monitor or projector with VGA port. With this gadget, you can enjoy HD video in large screen. 2. ADVANCED ACTIVE IC CHIP. 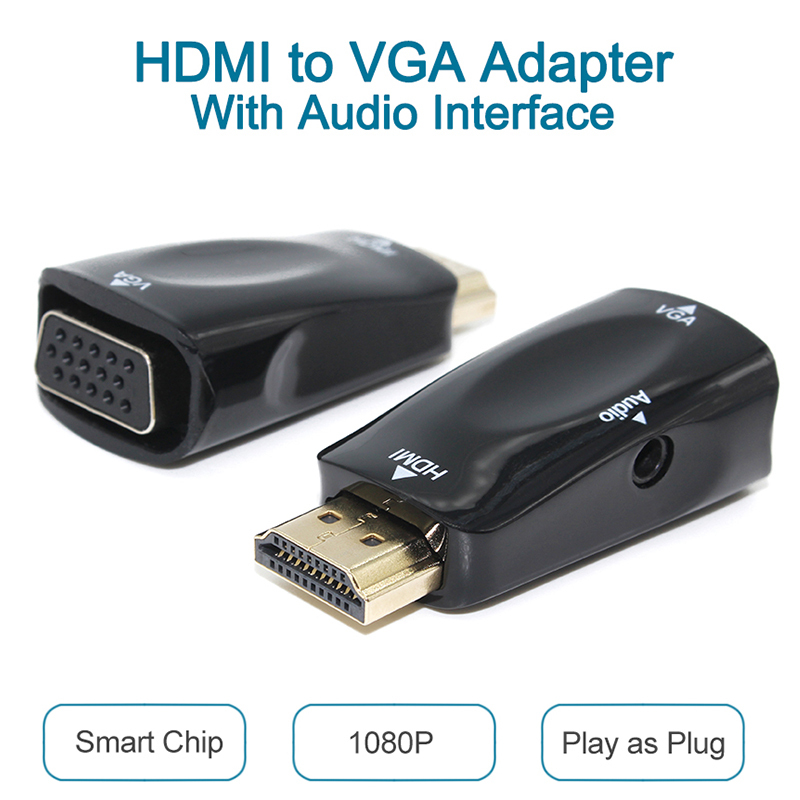 Built-in active IC chip converts HDMI digital signal to VGA analog signal. 3. SUPPORT HIGH RESOLUTION. 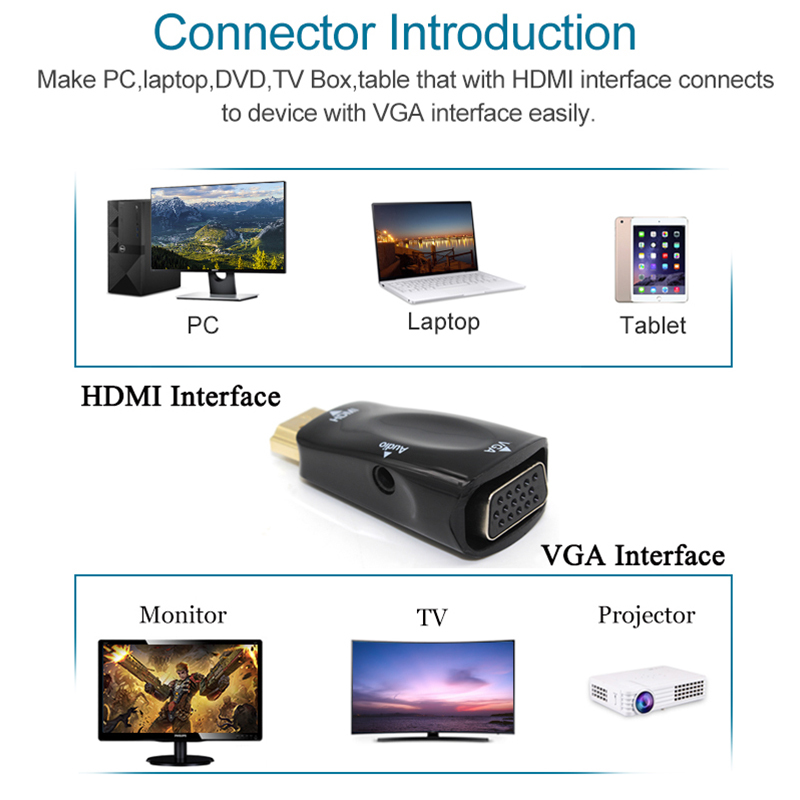 The HDMI to VGA converter supports resolution up to 1920×1080(1080p Full HD) including 720p and 1600×1200 for HD monitors or projectors. 4. GOLD-PLATED HDMI INTERFACE. Gold-plated HDMI connector resists corrosion and abrasion, and enhances the signal transmission performance. 5. LARGE COMPATIBILITY. 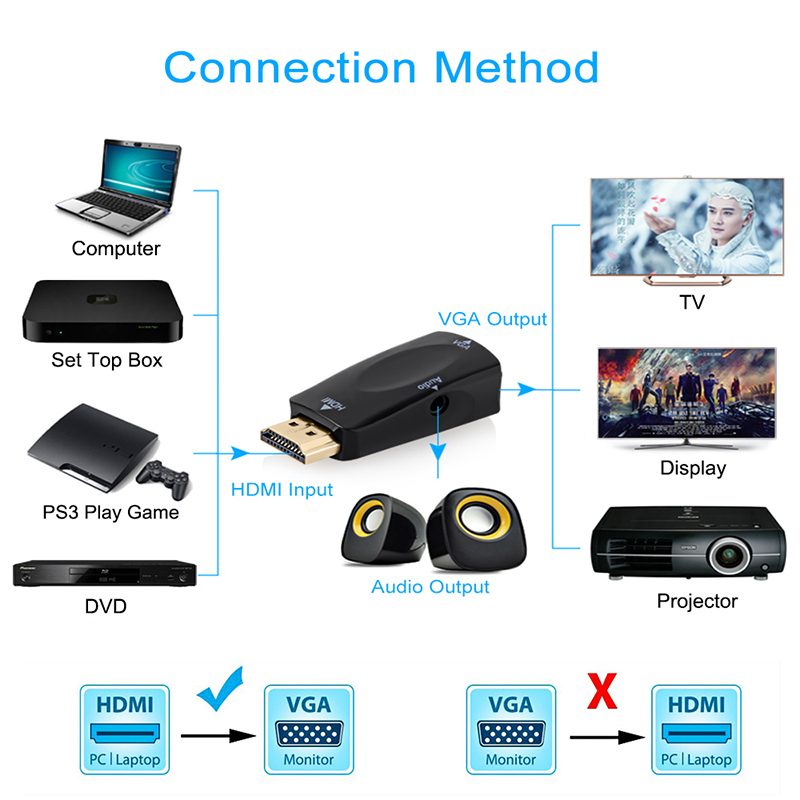 The HDMI-VGA converter is compatible with laptop, TV BOX or other devices with HDMI port. VGA female port can be connected to projectors, HDTV, monitors/Displayer and other device with VGA male port. 3.5 mm audio port cable can be connected to speaker, headphone, amplifier and other devices.